About Jean-Simon P. Message Jean-Simon P.
Jean-Simon is a scholar. His knowledge and eloquence in sharing the history of Quebec, as well as his explanations of Quebec's contemporary political, economic, and cultural situation, are 'ten-star.' My family and I were grateful for a great hike, humor, and storytelling which held the attention of a yawn-prone teenage daughter and two well traveled adults. Our every question opened another door in Jean-Simon's lively and informed description of this fascinating city. This is one SUPER-SUPERB guide. TOUR GUIDE RESPONSE: Thank you Bill! It's very easy when your audience as is interested as you were, and it makes me love my job more. Have a safe return to NY! Jean-Simon was an excellent and informative guide who led us through beautiful Quebec City. His love and understanding of the history of the city which he shared made the tour fun and educational as well. It was a great afternoon. We loved our time with Jean-Simon! 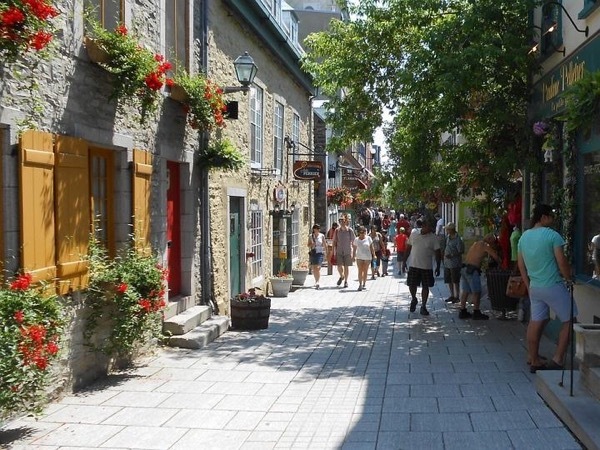 He is a true local whose family roots go back centuries in Quebec City. He is a great representative for his city, province and country. The walking tour was well presented and used our time well. Jean-Simon was great! His knowledge and enthusiasm for this city and it's history made our tour one of the best walking tours we've have taken. He has a great sense of humor, lots of energy, and a great domain of the English language. If you are visiting Quebec City please do not hesitate to hire Jean-Simon as your guide. TOUR GUIDE RESPONSE: Thank you Eduardo for your great comments, very appreciated, makes me love my job even more. You're welcome in Quebec city at any time and would gadly give you and Susie a tour again. Aurevoir et à bientôt!